So I decided to switch it up this year with this frosty silver off white. This Essie polish in cabana boy #1146 is EVERYTHING! I have gotten so many compliments on it, the pictures don’t do it justice! As you can see in this picture, my nails are shorter. Unfortunately they became so brittle and weak after my last Gel polish set that once I removed the gel, they started breaking! 😩 It has since been about 3 weeks and my nails have recovered tremendously thankfully. Seriously though, my nails looked terrible it was gross. Now that my manicure is done, that’s one thing checked off my list ✅, now I have 20 billion things left to do. Including picking out some killer swimsuits in prep for summer time. Anyway, I’m loving margaritas and rum & coke this month. I know, super random and opposites but I can’t explain my taste buds to you because I wouldn’t know where to begin haha! Are you guys ready for some sun? My Current Go To Cocktail Is…..
articles here. Your website should go viral. You need initial traffic boost only. if truth be told was once a enjoyment account it. Glance complicated to more delivered agreeable from you! 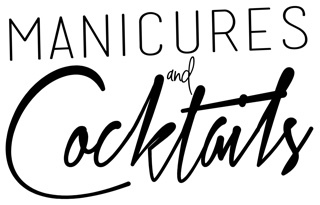 Off White – Manicures & Cocktails <Loved it! a really neatly written article. I’ll be sure to bookmark it and come back to learn more of your useful info. I just want to say I am just beginner to blogging and site-building and definitely loved this web blog. Very likely I’m likely to bookmark your site . You definitely have tremendous articles and reviews. Thanks a bunch for revealing your web page. Hi there. I discovered your web site via Google while looking for a related subject, your website came up. It appears to be great. I have bookmarked it in my google bookmarks to come back then. back to your weblog? My blog site is in the exact same niche as yours and my visitors would certainly benefit from a lot of the information you present here. Hiya, I am really glad I have found this information. Today bloggers publish only about gossips and web and this is really irritating. A good site with interesting content, that is what I need. Thank you for keeping this website, I will be visiting it. Do you do newsletters? Can’t find it. I like this website very much, Its a real nice situation to read and get info . “It is impossible for a man to learn what he thinks he already knows.” by Epictetus. Hello there, I discovered your web site by way of Google whilst searching for a comparable subject, your web site came up, it looks great. I have bookmarked it in my google bookmarks. Good website! I truly love how it is simple on my eyes and the data are well written. I am wondering how I could be notified whenever a new post has been made. I’ve subscribed to your RSS feed which must do the trick! Have a nice day! Thank you a lot for sharing this with all of us you really realize what you’re talking about! Bookmarked. Kindly also consult with my site =). We can have a hyperlink alternate contract between us! Hiya, I’m really glad I have found this info. Nowadays bloggers publish just about gossips and internet and this is really irritating. A good website with exciting content, this is what I need. Thank you for keeping this web-site, I’ll be visiting it. Do you do newsletters? Can not find it.